Head over to Amazon and get the highly rated Black & Decker 4-Slice Toaster Oven Just $24.94! (Save 38%!) Prime members and orders of $35+ get FREE Shipping! 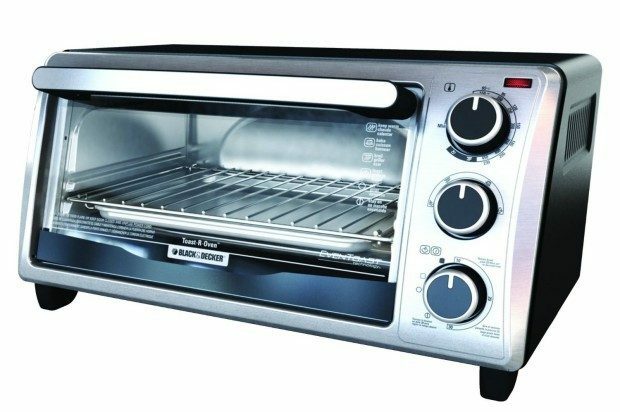 The Black & Decker four-slice toaster oven is a kitchen counter classic. No need to heat up the conventional oven, this model (model TO1303SB) allows you to get cooking in a hurry. The large window and cooking timer, with stay-on function, allow you to cook exactly to your specifications. And, the efficient size still allows for up to four slices of bread or a 9″ pizza.